The pitcher, (above left) in blue, bought by Bob and Sandy Sage from Argentina in late 2012. 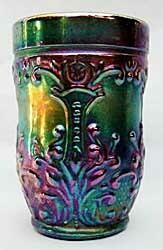 It is 9 inches tall and now in the collection of Dolores Sage. 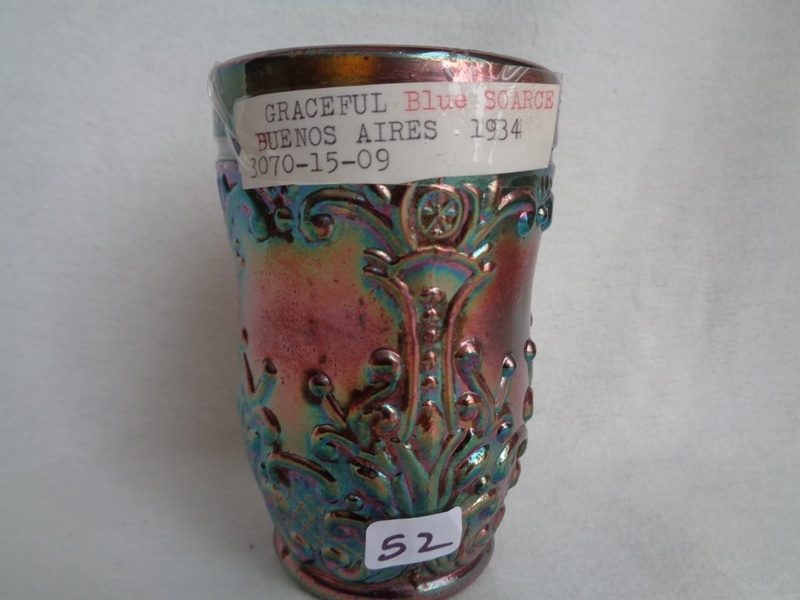 Tumbler with an elaborate scroll design made in Argentina by Cristalerias Piccardo. The tumbler above, in blue, sold on eBay in 2004, for $180. 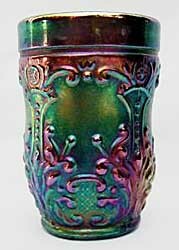 In 2005, another blue tumbler brought $190 on eBay. 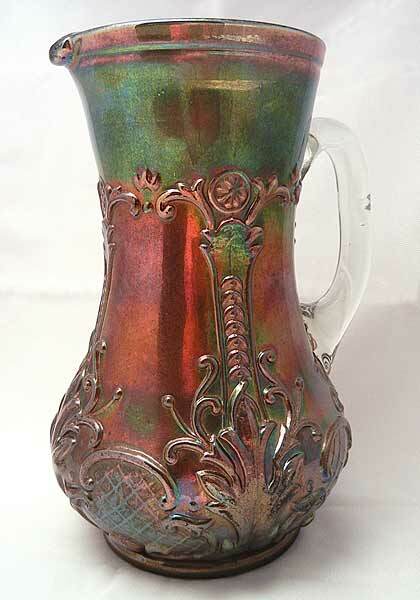 A cracked water pitcher, also in blue, sold at live auction in 1999 for $80. 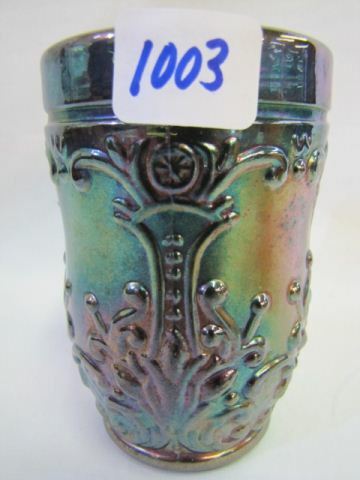 A blue tumbler sold in 2011 for $80.